As Dundee Labour's City Development spokesperson I have today expressed my shock that 252 jobs at Lloyds Banking Group are to be moved to Dunfermline. I will be seeking meetings with the Lloyds Banking Group, the trade union representing the workforce and the city council to discuss what can be done. As the local councillor for the West End ward I am also seeking a reassurance about the future of the Bank of Scotland branch in the Marketgait. I was shocked to hear about these plans to move jobs from Dundee to Dunfermline. My first thoughts are with the workforce who will be devastated by this news. Moving to work in Dunfermline will not suit all of the workforce. I am seeking a meeting with the Lloyds Banking Group to ask them to explain their rationale for this move and to see if there is anything that can be done to encourage them to stay in Dundee. I have contacted the trade union in order to get an idea on what the workforce think about this. I will also be asking Dundee City Council's City Development department what they are planning to do about this and also looking at what the Scottish Government can do to help support Dundee's economy. The Dundee economy can ill afford to lose 250 jobs. Dundee should be looking to attract jobs not lose jobs. I want to see efforts to create more jobs in the city. I will also be seeking reassurance over the long-term future of the Bank of Scotland branch at this site. Bank branches are important to the viability of our shopping areas and I want to be sure that the Bank of Scotland branch has a long-term future. 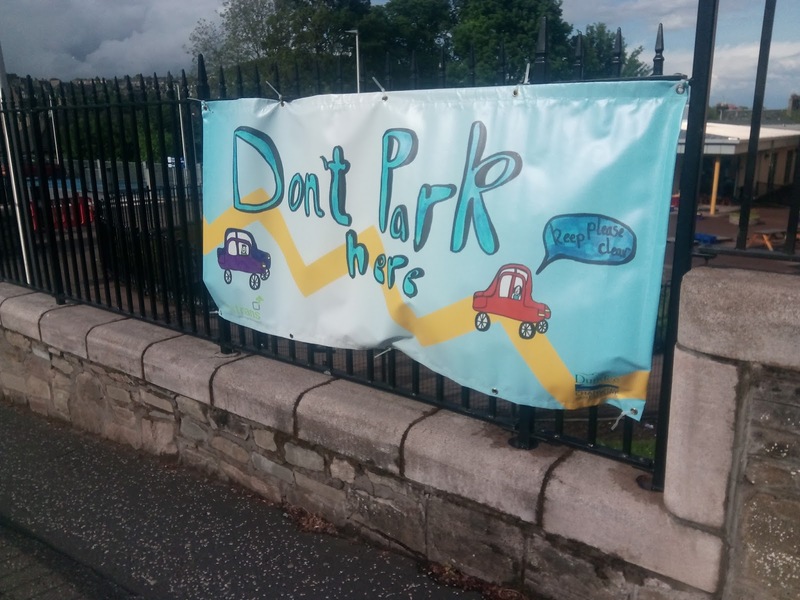 This afternoon along with my ward colleague, Fraser Macpherson, and a number of concerned parents and council officers I visited the West End Campus to see the car parking issues at the end of the school day at Balgay Hill Nursery, St Joseph's Primary and Victoria Park Primary. A number of parents have raised concerns with me about road safety around the schools. We did see some very poor parking - some of which was unsafe. It is important that people are considerate of others when dropping off or picking up children from school. Everyone needs to act responsibly and safely. Along with others I have asked for consideration to be given for the barrier on Blackness Road to be extended to whole length of the school and for the barrier into the school to be repaired. I think that we need to look at waiting restrictions and enforcement in the surrounding streets. There are options for parking slightly further away but which would be much safer than some of the current situations. Essentially we all need to look at what we can do to make the environment near the school safer.